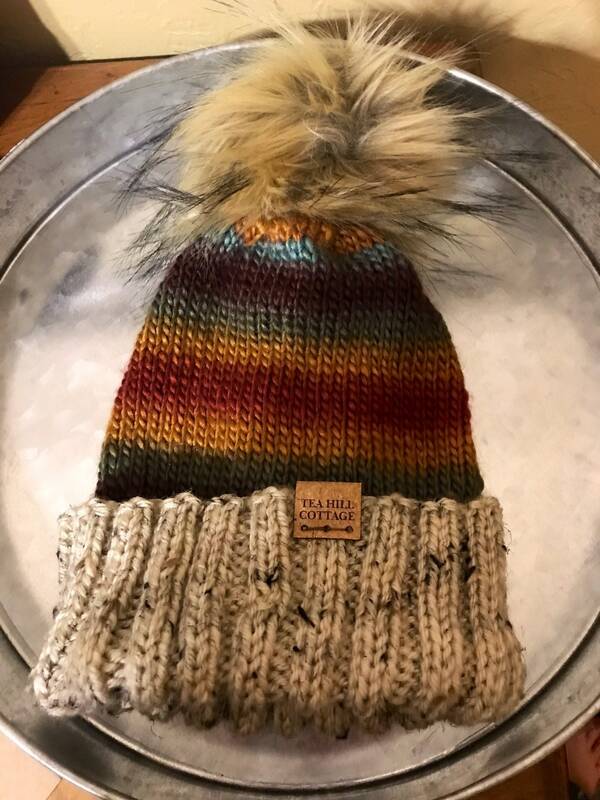 I used a beautiful soft, self-striping yarn for the body of this hat. I added a khaki colored tweed fold up brim so your ears will have two layers to keep you extra warm. 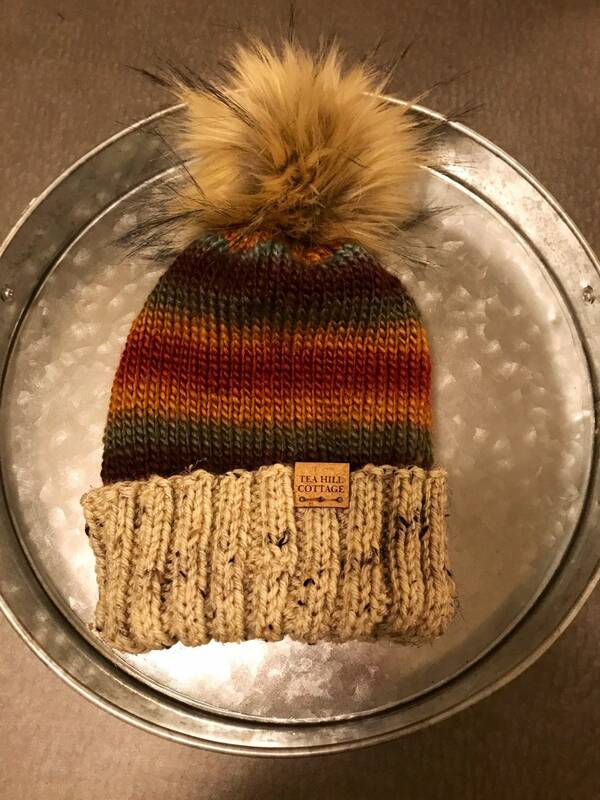 A beautiful faux fur pom pom finishes off the hat with style! !